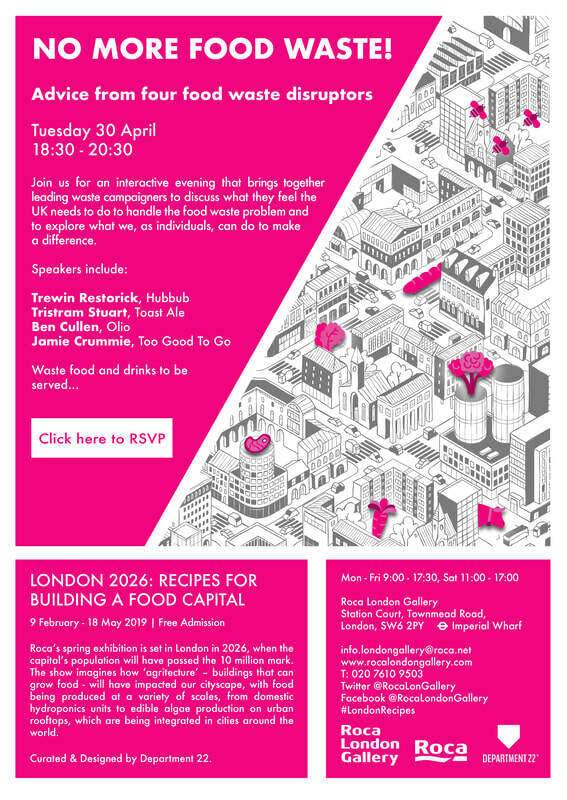 In this fun and interactive evening, four leading waste campaigners will discuss how the UK should be handling the food waste problem and explain what they think we, as individuals, can do about it. Imagine speed-dating meets pecha-kucha meets market-stall. This is not an event where you passively sit and listen to presenters. In Department 22's Roulette format, speakers will introduce themselves through a very brief pecha-kucha-style presentation. They will then move to one of four tables to talk more in depth about what they do for 10 minutes to a mini audience of about 10 people. At the chime of the bell, the audience moves to another table, so meeting all the speakers in turn, engaging in conversation and provoking more intimate discussions, with meaningful questions and constructive feedback!